Today is unlike any other day. Today is thee day I share one of my new-found crafting obsessions! 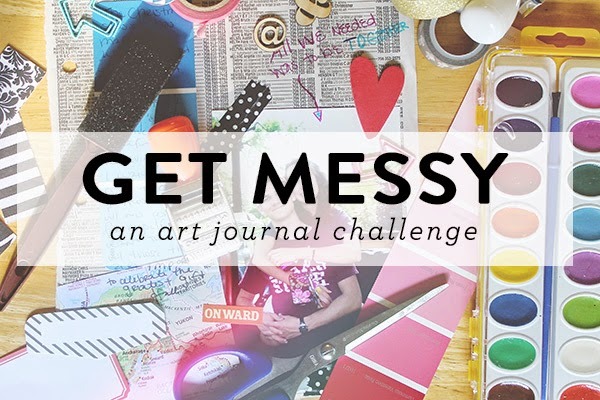 You can see my #GetMessyArtJournal pages here or on my IG. 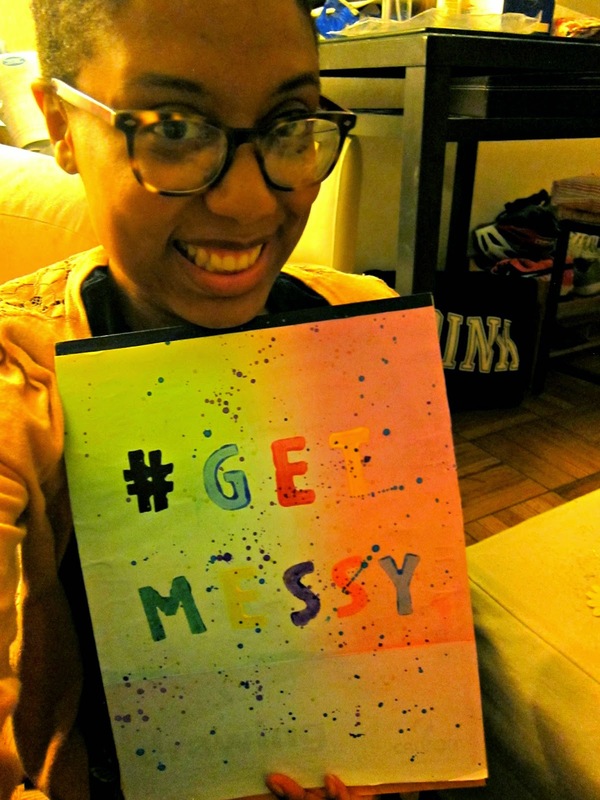 The Get Messy Art Journal Project! What's that you ask? Don't worry! I'm going to tell you. One iridescent piece of glitter at a time! 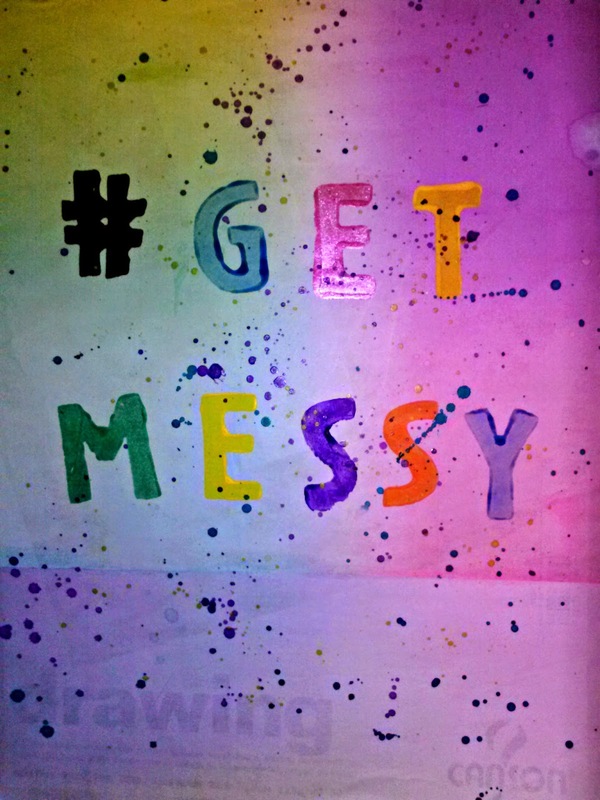 The Get Messy Art Journal challenge created by two fabulous lady friends of mine named Lauren Hooper and Caylee Grey. I was inspired by Olya and her amazing watercolor art journal pages. I ran to my local Walgreens drugstore and bought a Crayola watercolor kit (the basic one with 8 colors). Unearthing my acrylic paint brushes, a drawing pad, and some foam letter/symbol stamps that I purchased years ago from my favorite crafting store Michaels, I took my small mountain of crafting supplies out to my backyard. It was just the right amount of sun per cloud ratio where I could feel toasty but not be burnt to a crisp! I sat on my patio under the umbrella so as not to aggravate a lupus flare/or malar rash due to sun exposure. I took my Canson drawing pad and decided to recreate it "Get Messy" style! & ta daaaaahhh! There you have it. I used watercolors for the background and acrylic paints for the stamps. My favorite part is the watercolor splashes across the page giving it that "messy" vibe. This quote has always resonated with me. To find that person who accepts you just as you are...flaws and all. It's not just a Beyonce song, it's REAL. There are people on this earth who will love YOU for you. 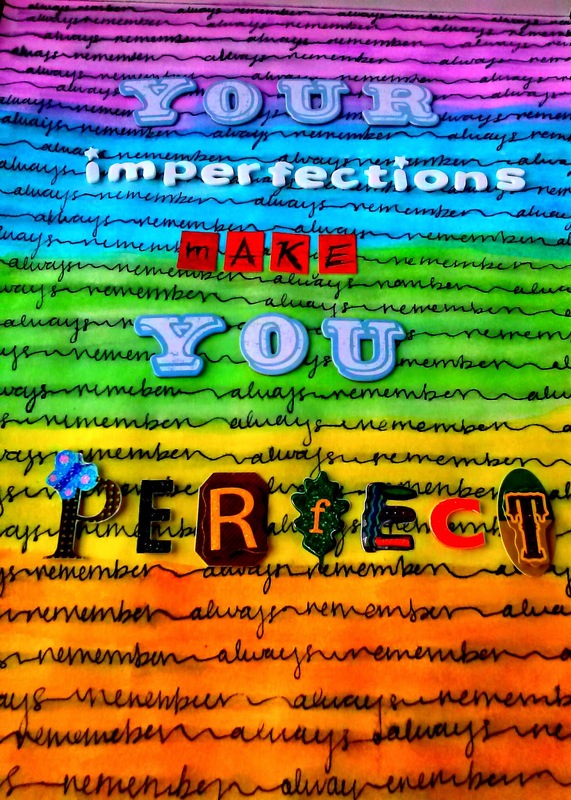 Individuals who see your imperfections as magically crafted snowflakes, as extra frosting on a cake, or extra fries at the bottom of their Happy Meal. It is my wish and hope that YOU find people like this in your life. Don't despair, it will come when you least expect it. So don't go searching, let them find you. Be patient. Enjoy life as it comes, relish each moment. Live in the NOW. Then one day, like a deer in headlights, you WILL FIND your people & they will caress each imperfection as a gift bestowed upon them, goddess like. Wow, you don't hold back with the colors! Amazing work. :) So invigorating! Such bright, happy colors ~ I love 'em both to pieces,Tiffany! Yay!!! Primary colors are good! I love all that color!!! I'm a big big fan of bright happy colors ;) I also really love what you wrote about that second quote. It's very true, but such a hard thing to believe sometimes. I hope you're feeling a bit better these days!